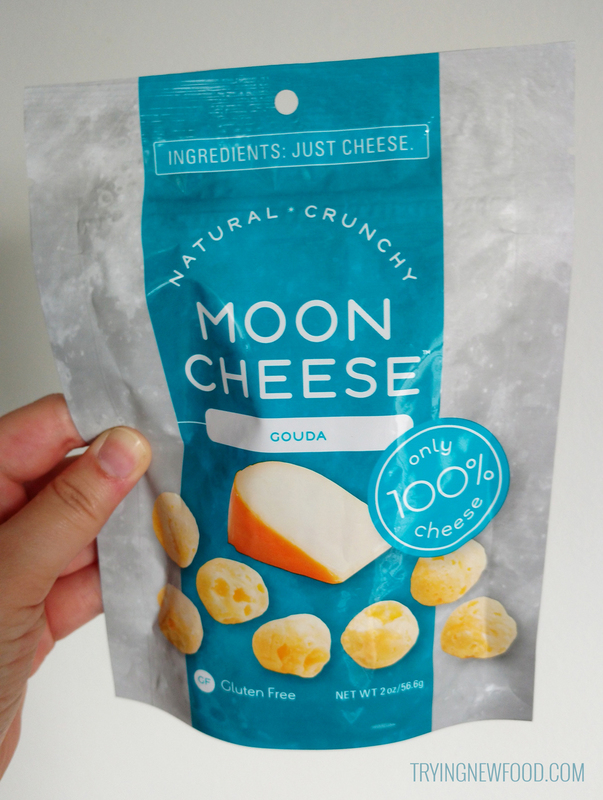 We were about to check out at Wegmans when we noticed this Gouda Moon Cheese and decided to give it a try. I wondered what crunchy Gouda would taste like. The packaging proclaimed twice that inside contained only cheese. 100% crunchy Gouda. With only 70 calories for 6-7 pieces, it’s about 10 calories per piece which isn’t bad at all. The back states they Chrunchify™ the cheese, and no refrigeration is needed. With a company name like nutraDRIED™, it sounds like they are in the business of dehydrating foods. I also noticed the expiration date is in November, so these could last a long time unopened in the pantry. Each cratered piece looks like a tiny cheese moon. Very lightweight, but solid and not soft at all which provides a good crunch when you eat them. The taste reminded me of something not cheese-related at all, but I had trouble putting my finger on what it was. 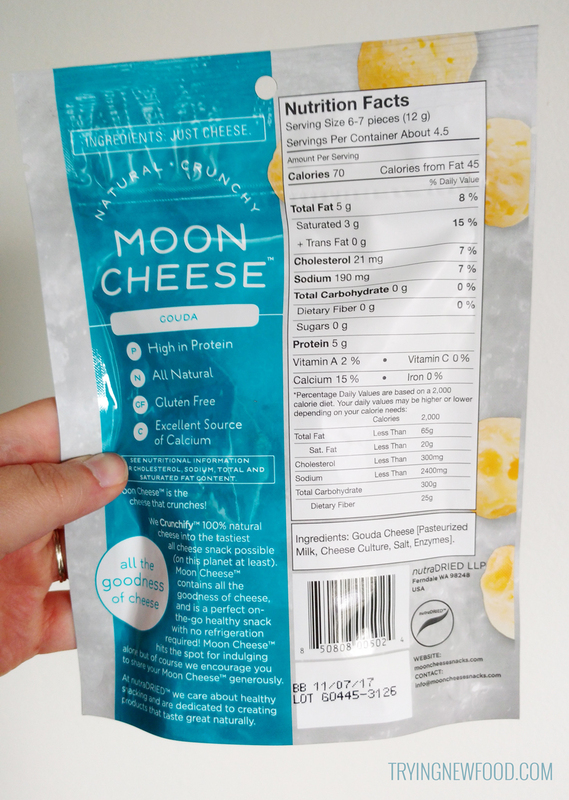 It almost tasted like cheddar to me, so I might have to try out the cheddar flavor of Moon Cheese in the future to see how it compares to this Gouda flavor. This is not a snack I could eat all at once. I had a few pieces and it was more than enough. After eating a few, I didn’t feel like I wanted any more after that—my curiosity had been satisfied. It would be a fun addition to a salad, but wouldn’t be my main go-to snack. 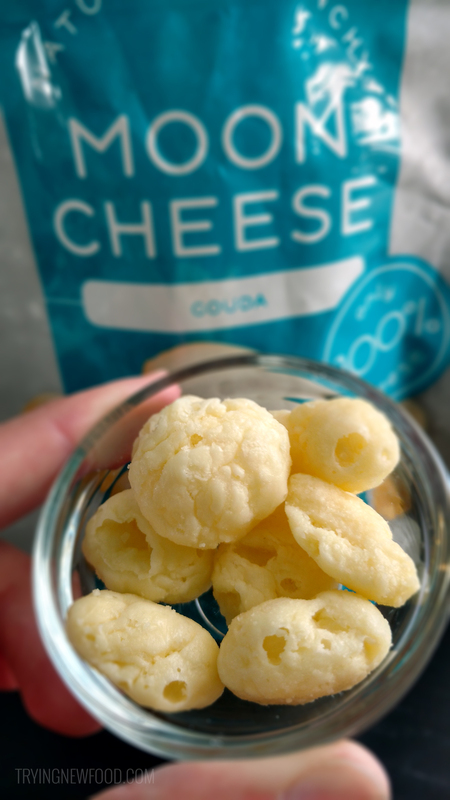 This Gouda Moon Cheese is worth a try just to experience the unusual texture and flavor. It’s very unique, that’s for sure.